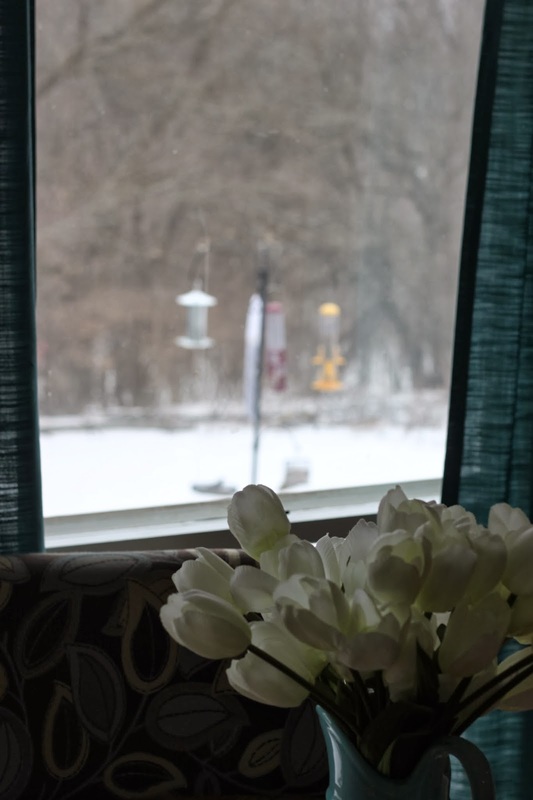 Wrapped In Love: Teal my favorite color…..
so to bore you with a few more pictures…..
and out these windows we can see our birds…. 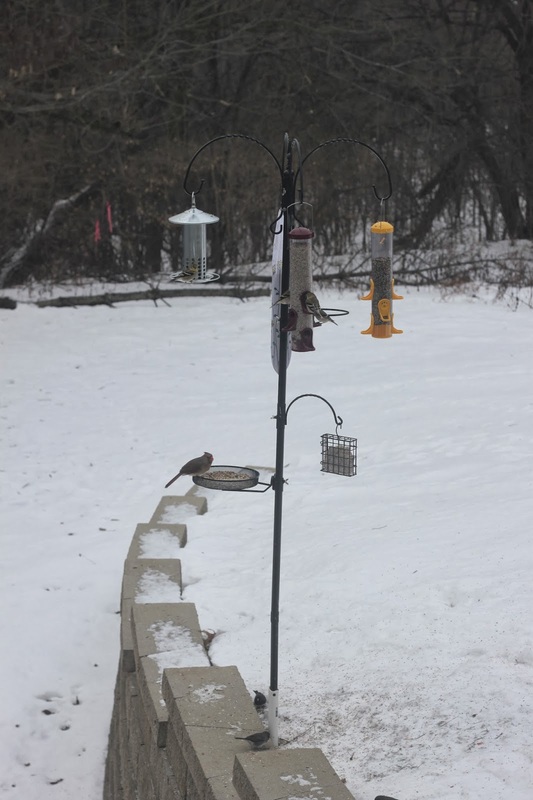 at any given time we see numerous cardinals, goldfinches, titmice, blue jays, nuthatches, chickadees, juncos, 4 or more kinds of woodpeckers. We have 3 feeding stations set up and the goldfinches have emptied theirs daily and the others we fill every other day…. we are sure enjoying God's little creatures. Yes the blue and red mugs don't look so hot…..
and yes, I still need to distress the wall cabinets above the "buffet"…. I love the song "his eye is on the sparrow" and so did my Dad it was sung a number of years ago at his funeral…. thought it was fitting with our backyard bird population! Your room looks wonderful. I think the teal is a perfect addition and I just love the teal curtains. We are planning some work in our kitchen and your post was an inspiration to me.